Video clip synopsis – Megan Spencer believes that taking more risks with writing is the way ahead for televsion drama. Broadband MP4 futurecontent_bb.mp4 (4.3MB), suitable for iPods and computer downloads. 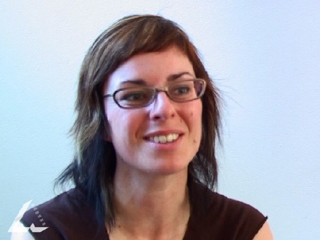 This interview with Megan Spencer was recorded for the website From Wireless to Web, produced in 2005. Innovations in technology change the way messages are gathered – how they are recorded and produced – and the way they are delivered to the listener, the viewer or the user. Messages – what we hear, see, and experience of a broadcast – reflect images of ourselves, our place and our Australian way of life. As new technologies change the message, they also shape our national identity. How many Australian television shows do you watch in a week? Which are your favourites and why are they your favourites? Compare the amount of television you watch to the amount of radio you listen to. Where are the radio shows produced? What do you think is the difference between TV and radio when it comes to place of production? Do you prefer Australian television to international or do you have no preference? What is it about each that you like or dislike?